This ultimate desktop reference system does it all. 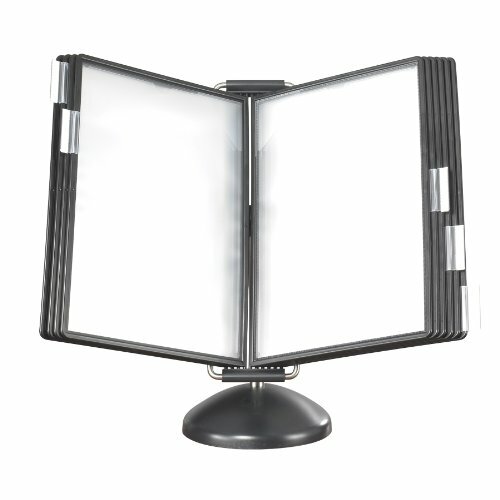 The sleek design has 10 anti-glare pockets with black frames featuring two-sided opening for easy document loading. Completely positionable to keep frequently used documents available for quick access. Easily change the viewing angle to fit your needs or rotate to show a colleague by simply adjusting the system from portrait to landscape format. The compact weighted base means more available desk space. Steel base construction with polypropylene pockets.